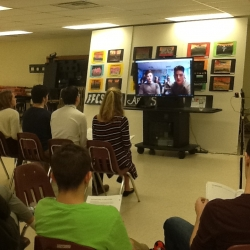 Earlier this term our Sixth Form Politics students were given the opportunity to take part in an international Skype call with students from Fonda-Fultonville Central School (FFCS's) in Montgomery County, New York State. Students from both schools utilised time within lessons to create lists of key questions for each other and discuss their views on a wide range of political issues - of which there are many hot topics at the moment! Christleton students prepared a range of questions with regards to views on subjects such as the recent American election result, and views on gun ownership in the United States and in return our students were quizzed on subjects such as Brexit, Scottish independence, our Royal Family and even Nigel Farage! The call, which had originally been scheduled for one hour, lasted over two hours with Christleton High School students giving up their personal time after school to continue the discussion. 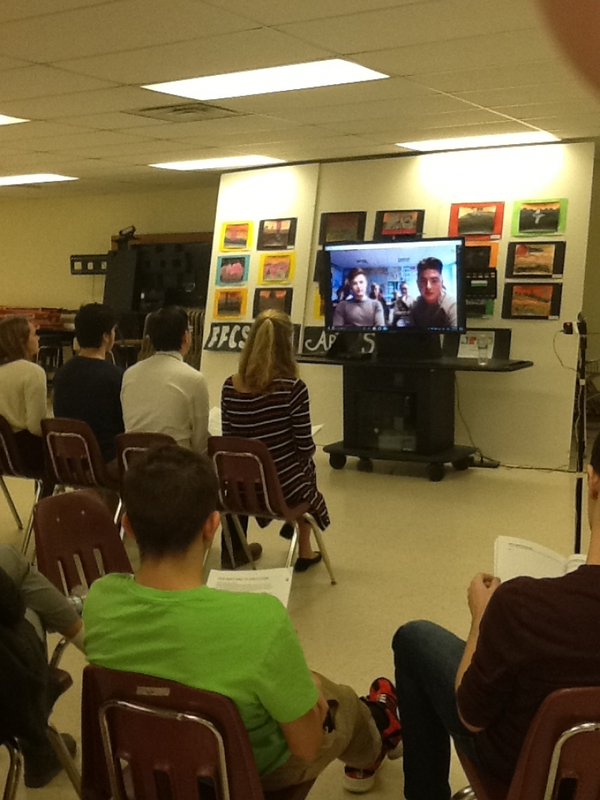 In addition to the call itself, both sets of students have had follow up discussions about the content of the Skype call and it has prompted further discussion. In a follow up e-mail from FFCS's politics teacher, Sean Thompson, he made the following comments about our students. "We absolutely loved how honest, open, and straightforward your kids were. They were terrific! I spoke to my High School Principal and District Superintendent this morning and both are excited about opportunities to further develop the relationship between the two schools." In our response back to Sean, we have assured him that we are also keen to develop this link further and are currently exploring how we can further extend opportunities such as this for our students in both History and Politics. Watch this space for more international news!